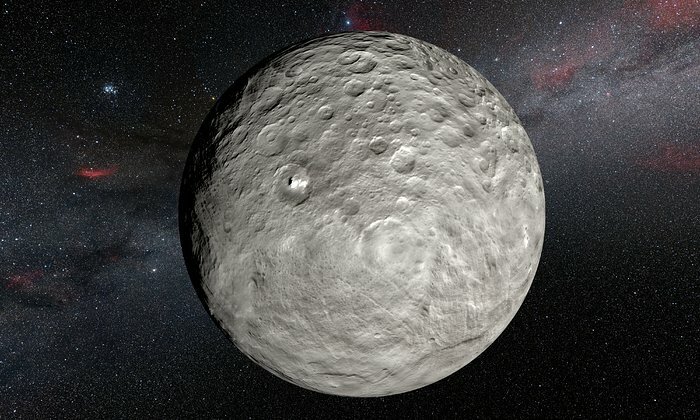 March 17, 2016 – Observations made using the HARPS spectrograph at ESO’s La Silla Observatory in Chile have revealed unexpected changes in the bright spots on the dwarf planet Ceres. 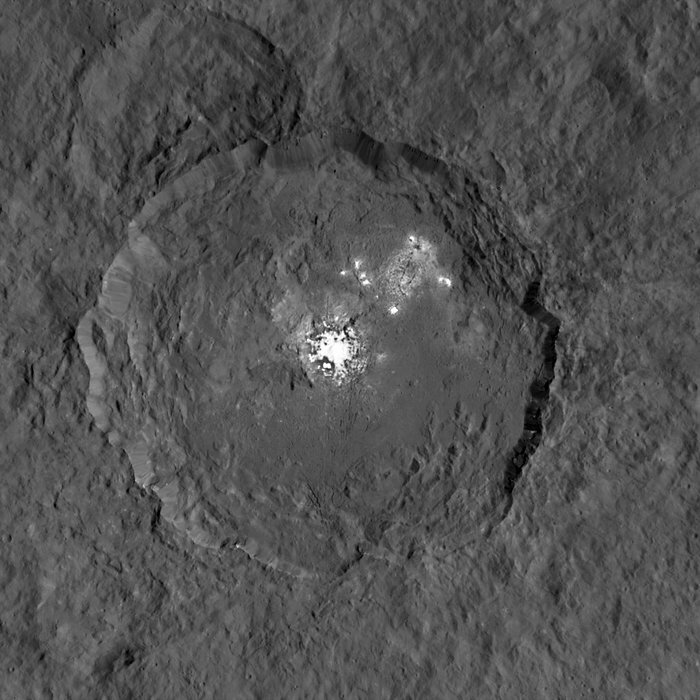 Although Ceres appears as little more than a point of light from the Earth, very careful study of its light shows not only the changes expected as Ceres rotates, but also that the spots brighten during the day and also show other variations. These observations suggest that the material of the spots is volatile and evaporates in the warm glow of sunlight.